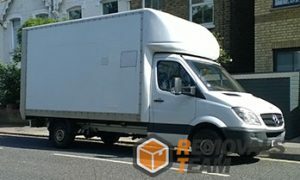 Van hire in London from us may very well turn out to be the best way to have your house relocation in the capital handled. Our London covering moving services are definitely among the best available in the city, for the simple reason that we take quality and the peace of mind of our clients to a very high esteem. Feel free to get in touch with us today and we will arrange for every aspect of the London moving service you are getting from us to be tailored in accordance to your needs and personal preferences. We operate on a flexible pricing system. Your quote is going to be estimated in accordance to the individual specs of your project, so do not worry about having to spare a lot of cash in order to get your relocation in London done. Our moving solutions in London are perfect for full property domestic moving as well as smaller jobs like store purchase deliveries. We will get the items that you have purchased and bring them safely to your place on the same day. Naturally, we take same-date booking for our deliveries services in London, so just get in touch and make a reservation today. Our helpful movers are going to assist you with unpacking and assembly if necessary too, so that you can start enjoying your new acquisitions as soon as possible. We are based and operating in London. Our services cover all 32 London Boroughs both to the south and the north of the River Thames. Actually, Thames is one of the most recognizable features of London and has become a symbol of the capital over the years. The Roman camp which actually evolved into the present day city has been built on this location because of the transport benefits that the Thames offers.